What bizarre alien planet is this? It's planet Earth of course, seen from the International Space Station through the shimmering glow of aurorae. About 400 kilometers (250 miles) above Earth, the orbiting station is itself within the upper realm of the auroral displays. Aurorae have the signature colors of excited molecules and atoms at the low densities found at extreme altitudes. Emission from atomic oxygen dominates this view. 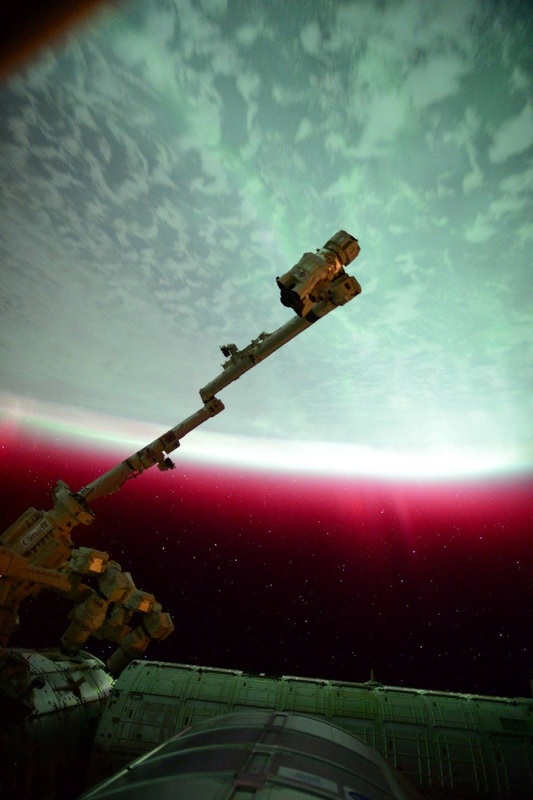 The eerie glow is green at lower altitudes, but a rarer reddish band extends above the space station's horizon. Also visible from the planet's surface, this auroral display began during a geomagnetic storm. The storm was triggered after a coronal mass ejection impacted Earth's magnetosphere in June of 2015.